Toyota has gotten a lot of bad press lately surrounding the unintended acceleration issue. I’m sure that plenty of case studies will be written on the subject. On the other hand, one recent Toyota issue has remained quiet, and I am a little surprised. It’s no secret that manufacturers and dealers make a hefty profit on replacement parts. We all go about taking this as the normal state of things. So, when we received a letter from Toyota last month announcing a price change for one type of part, I was surprised. Further, this gouging is more egregious than other OEMs (car manufacturers). So much so, in fact, that they are responding to customer complaints by lowering the price from $300 to $150 in order to be more “competitive” with other OEMs. Cutting the price by half brings their price more in line with other OEMs — the same OEMs that everyone assumes are charging too much in the first place. Not only are they reducing the price, they are going to retroactively reimburse customers who paid those crazy dealer prices to replace HID bulbs. But wait! There’s more! 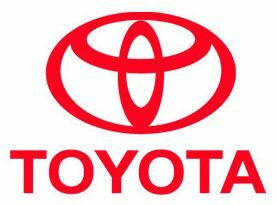 Act now and Toyota will also reimburse customers who paid crazy dealer prices to replace the headlight control modules. Naturally, any control module replacements were almost certainly in error, as they are unlikely to have been faulty. Simply replacing the bulb would have been sufficient, but this is another example of the status quo, where dealers happily replace module after module at someone else’s expense, rather than actually doing any troubleshooting. 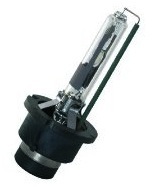 I cry to think that some people paid so much for a burned‐out light bulb. A control module retails for $250. The bulbs used to be $300. Labor and tax probably brought the total to nearly $600. Insanity! I suppose that if I were taken to the cleaners like that I would complain pretty loudly too. I’m glad that Toyota is fixing the wrong they’ve done, but even I am amazed that it was that bad. Google Spreadsheets provides a fun gauge chart tool to illustrate our emissions. According to some folks better at the ideal gas law than I, The half‐pound of CO₂ associated with driving a mile in our cars has a volume in the atmosphere of about 4 ft³. We’re all filling up the air with greenhouse gases, one mile at a time, unfortunately. Getting married, moving closer to work, and having a baby all have a way of reducing the number of miles one puts on a car in a year! In other car‐repair news, I learned a couple things about tire shopping recently. Two weeks ago, I ordered a set of new tires for the Volkswagen. I did my research and placed an order online at Sam’s Club for a set of Michelin MXV4 S8 tires at $112 each. Curiously, the same tire model — dimensions, ratings, and all — was available under two different SKU numbers. One SKU was $112 and the other one was $143 — 28% higher! Naturally, I ordered the less expensive ones. When the tires arrived and I had them installed five days later, they charged the $143 price. Checking online, the exact tires, down to the SKU number, that I had ordered were indeed now available only at the higher price. I provided proof of my original order, and they adjusted the price without a fight. Lesson 1: There are a zillion combinations of tire models and ratings, and it’s probably a nightmare for retailers to keep their databases current. 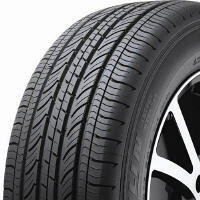 If you are ordering tires, check thoroughly for similar models, because you may find an unexpectedly good deal. Lesson 2: Tire prices apparently can fluctuate wildly in a short amount of time. So, if you know you’re going to need new tires soon, select a tire model, and then monitor the price for a little while. If you see the price go down, jump on it! AutoZone’s net income is up 8.6%, pleasantly surprising investors. It’s no surprise that people are trying to make their cars last longer in favor of buying new cars. But it turns out that last year, even the stingiest among us were postponing major repairs because gas prices were so high. 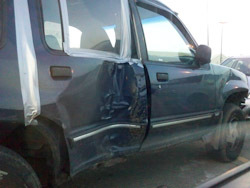 Now that the prices of gas is coming back down, shade‐tree mechanics now have a little extra cash to fix their clunkers.